While the blockchain world was preoccupied with other newsworthy stories, from the now-delayed Ethereum hardfork to exchange hacks, Monero miners have nervously been watching very unusual phenomenon unfold in front of them. Monero, once a very profitable privacy coin to mine, have suffered like all PoW coins during the longest Bitcoin bear market to date. But those that are watching the network are scratching their heads as profitability is decreasing while hashrate is increasing. Monero is known to be a very anti-ASIC project. In fact, in 2018 alone the project forked two times to combat the rise of ASIC miners?—?once in April and again in October to the newer Cryptonight V8 algorithm. 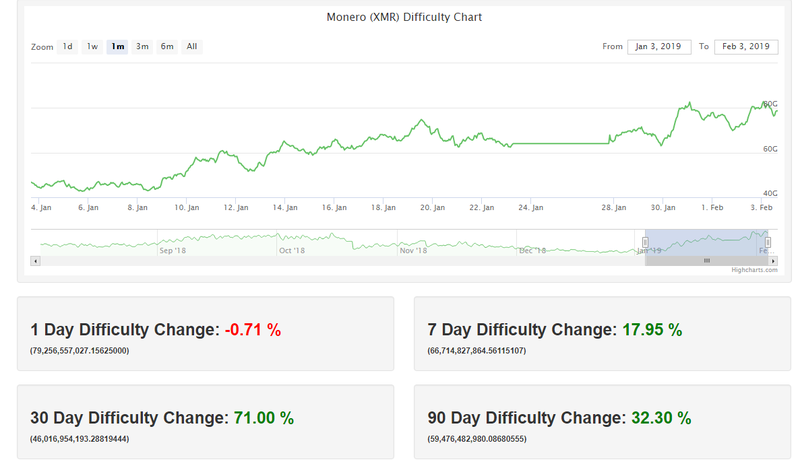 These forks resulted in more than 5 different Monero chains, all promising better and more secure features… but as expected, the main Monero chain prevailed in the end. Price has declined for three months straight, yet there is more hashpower pouring into the network. At the current time of writing, Monero is hovering just above the $40 mark?—?a stark difference from its all time high of $720. Despite the whole ProgPOW vs no-ProgPOW discussions that are going on, Ethereum is still marginally profitable for most miners. On the other hand, Monero mining is not profitable at this time. To put into perspective, an 8-GPU AMD RX580 mining rig at 6 cents per kW/h, Ethereum is profitable by around $2 a day. Monero, even with the correct undervolting settings, would post a loss of $0.50 a day. Mimblewimble coins like Grin and BEAM, are seeing profitability levels that the industry has not seen in a very long time. So the $720 million dollar question arise: where is the hashpower for Monero coming from? We can rule out small time hobbyist miners, mid-sized facilities that are slowly beginning to recover their 2018 losses, and large enterprise GPU-mining operations that have made the switch over to Mimblewimble coins and/or are still mining Ethereum. It just doesn’t make sense for anyone to be mining Monero right now, and it definitely makes it more perplexing that hashrate is rising instead of falling. Possible Causes?—?who are these mystery miners? I’ll begin with the most unnerving possible cause: an entity is pushing up difficulties to all time high levels at a huge loss to push out small-to-mid GPU miners. As the GPU miners leave the network, this entity (or group of malicious entities) is quietly accumulating enough hash power to perform a 51% attack, similar to the attack that occurred last month with ETC. An entity has already developed an ASIC miner with efficiency and power for the Cryptonight V8 algorithm, propelling the never-ending cat and mouse chase between anti-ASIC coins and ASIC producers. This entity could be secretly mining, until it’s time to dump the ASICs into the market. Enormous botnets have finally made the upgrade to Cryptonight V8, and is spreading faster than ever. In laymen’s terms, a botnet is a host of computers infected by hackers and script kiddies, and depending on the sophistication of the virus, can have complete control of your computer with you even knowing. 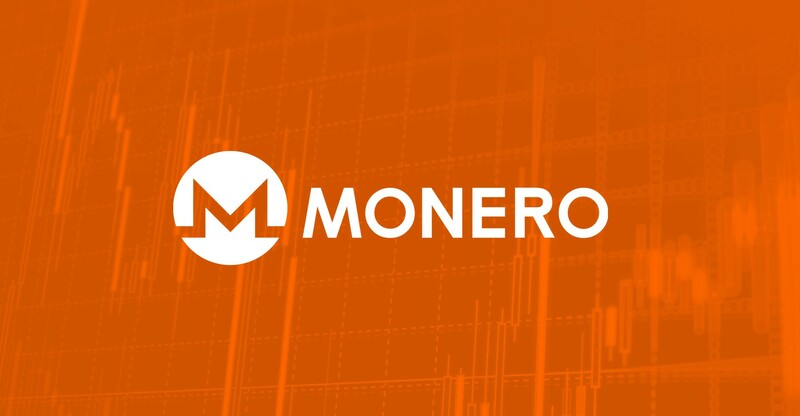 This was a huge issue for Cryptonight V7, as it was reported that up to half a million servers were infiltrated to secretly mine Monero. When Monero switched over to Cryptonight V8, it essentially rendered all those infected computers useless for Monero mining. There is a real possibility that these infected computers have been slowly but surely upgraded to mine CN v8. Since the infected computers are using the electricity costs of the victim, the cost is irrelevant for the hackers?—?for them it’s a pure numbers game. Infect as many computers as possible. Many of us are at a loss for words. The economics of the hashrate and difficulty increasing while profitability decreasing simply does not make sense. My intuition says that malice is the intention for this phenomenon, and Lunar Digital Assets will be watching the Monero network very closely. Please feel free to reach out to me if you have an idea of what’s going on. What is the next big thing in crypto world? How to check and stop if DDoS attack is going on. Previous: Previous post: Can ICOs Prevent Money Loss?